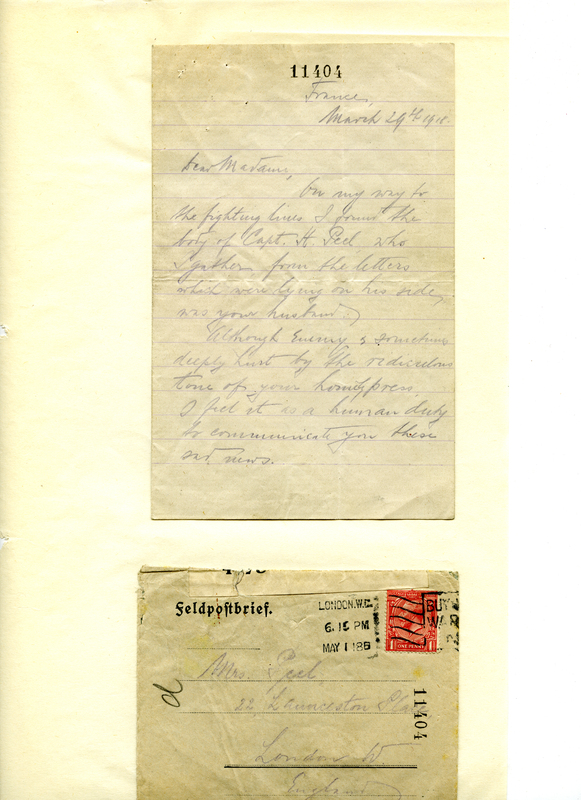 On Thursday 16th October Curator Emma Harper is giving a talk at the Guildhall Library entitled ‘A War of Letters’, here’s a little preview of what you can expect. 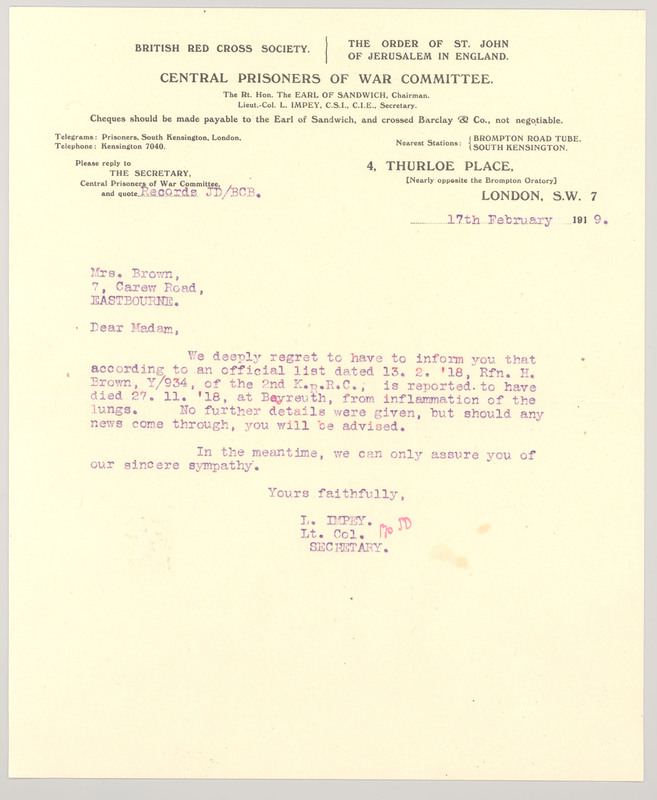 Every aspect of the war was communicated by letter and, for many, letters were a way of maintaining some semblance of normality. Whilst accurate figures for the amounts of mail sent during the war are hard to pin point, we know that at its peak over 12 million letters a week passed through the Post Office’s temporary sorting office – the Home Depot. Receipt of a letter was a huge boost to morale both for those at home and at the Front, the maintenance of that link was of vital importance and recognised as such by the Post Office. 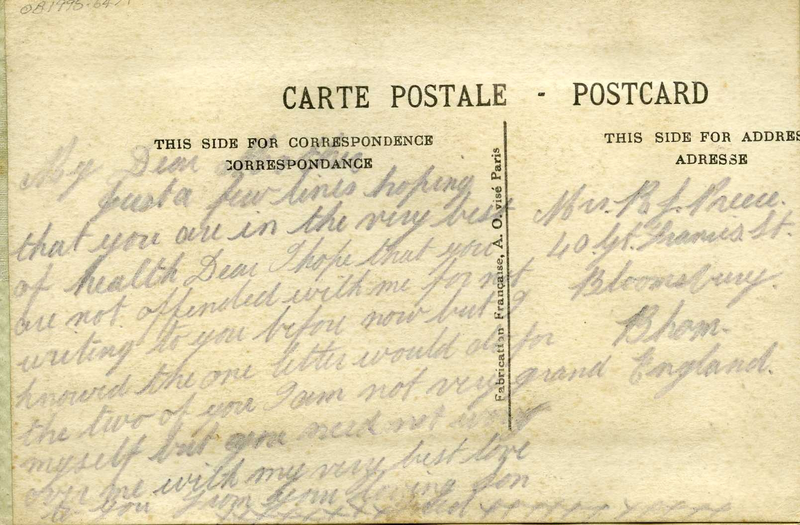 By writing ‘On Active Service’ at the top of their correspondence soldiers could write home for free. 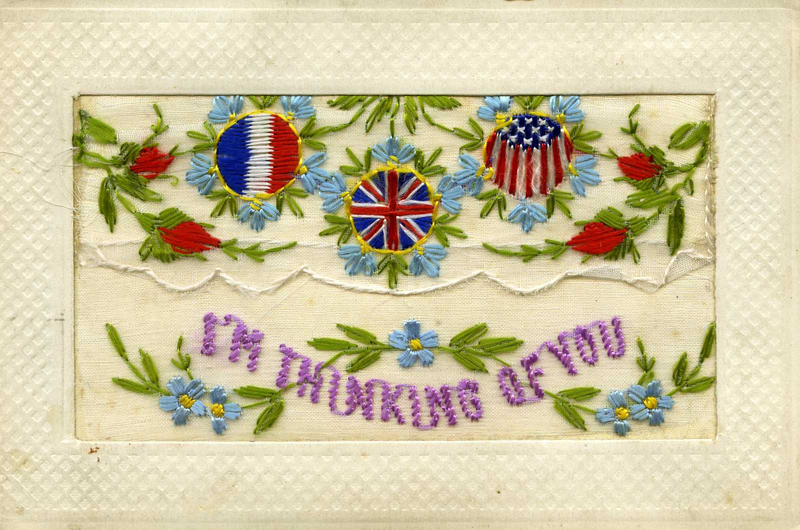 One of the most common ‘letters’ received from the Front was the Field Service Postcard. 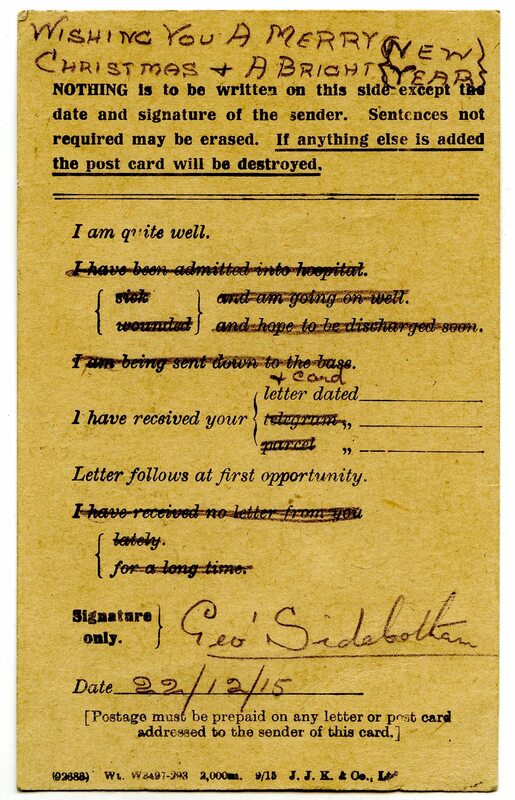 These postcards only allowed soldiers to give basic details to family back home as rather than writing their own sentiments they had to pick from a list, deleting those that didn’t apply. 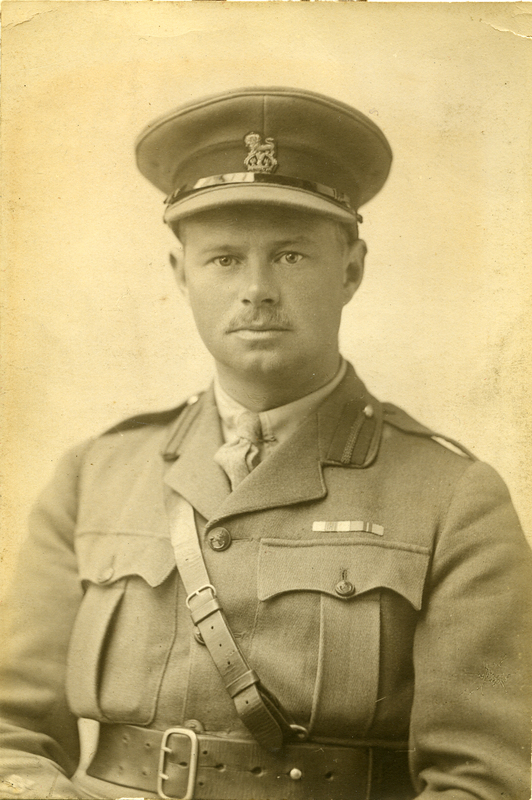 This was a form of censorship as the limited space for personal expression meant that there was less risk of divulging confidential information or of tales that may reduce morale reaching the Home Front. Despite the fact that nothing else was meant to be written on the postcard there were always exceptions and some of them did get through the censor, such as this harmless Christmas message [also 2014-0062]. 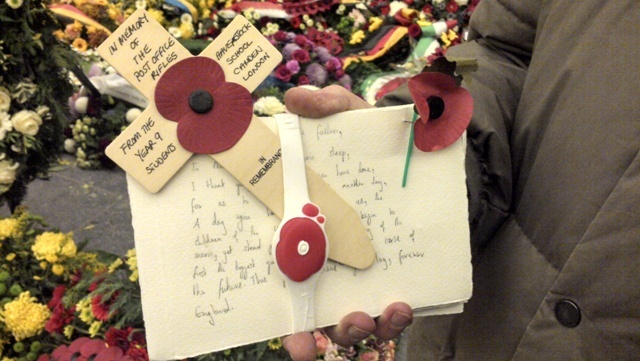 The fact that Peel carried his letters round with him and that Gaylor still felt it his duty to communicate the news to Peel’s loved ones, his enemies, shows the strength of feeling and importance given to letter writing in the war. 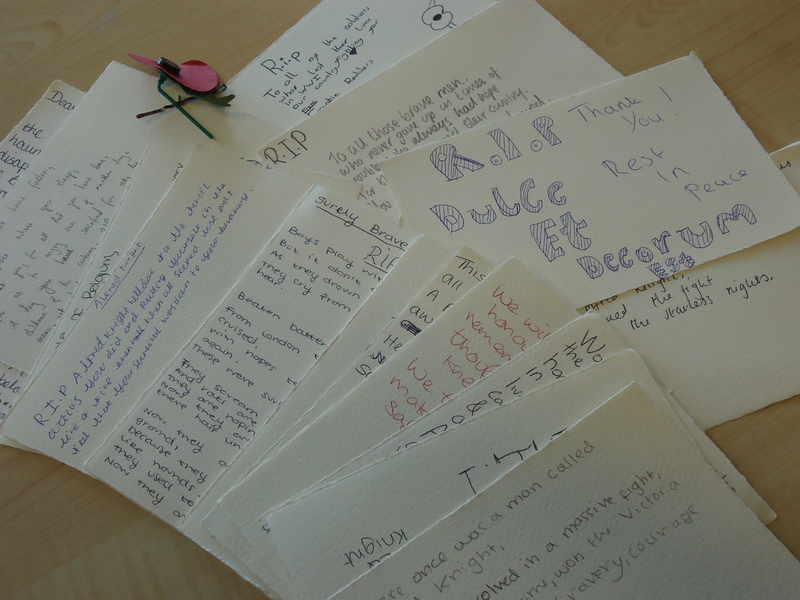 These letters now also play a vital role in deepening our understanding and remembrance of the war. 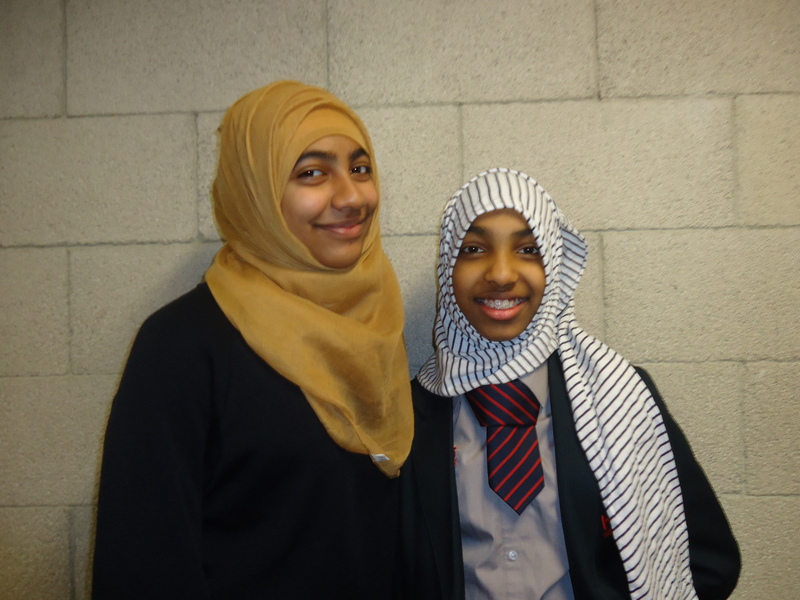 To find out more please do come along to Guildhall Library on Thursday 16th October at 6pm. You can still book your tickets online!